Avon beauty products are dedicated to bringing shoppers excellent quality at affordable prices whether it is fragrances, make-up or skincare. See the Avon catalogue for special deals. Avon gives women the liberty to enjoy magnificent beauty, skin and hair care products over a variety of categories and at affordable prices. 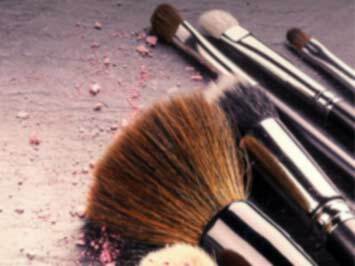 Avon products include "Advance Tech", "Alpha" "Avon True", make-up brushes, hair brushes & products, fragrances, skin care, and more which are manufactured from high-end quality ingredients to bring you the best results. There is an Avon special available all the time so see the Avon catalogue for deals on items and start saving on your next purchases. Customers can visit the Avon website and apply with details to hear back from an Avon representative; here you will also find information and get direct Avon contact details from the company's website. The Avon branches consists of 3 beauty centres located within South Africa, here customers can sample products and make direct purchases of the products they wish to have. Avon began its journey in 1886 by founder David H McConnell, a book sales representative who wanted to give women the liberty of becoming financially stable by working for the company as Avon representatives. McConnell's idea was born from the fact that he noticed women's interest in the sample perfumes he made more than the books he sold, he also noticed the struggle to make ends meet and the fact that some women he encountered where naturally sales orientated. Avon South Africa has 3 beauty centres located in Cape Town, Durban and Pretoria, where customers can directly sample and purchase the Avon products. To date the company has more than 6 million representatives throughout the world and growing. Avon products are especially made for women and feature a variety of haircare, skincare, accessories, make-up, and lots more. Customers will receive expert advice from well informed Avon representatives and thus can aid in making an informed decision on products purchased. Avon South Africa has agents and representatives all over the country, who can supply you with the latest Avon brochure, allowing you to choose what you’d like and simply send your order through. Avon cosmetics are incredibly popular and are manufactured with high-grade quality ingredients. You too can become an Avon representative by simply visiting and applying online through the company website or contact Avon directly for more information on how to become a representative. Avon not only endeavours to empower women but also to give back to the community through the iThemba crusade of hope that raises funds each year with the Avon Justine Walkathon to support breast cancer awareness and treatment. Do you want to receive more AVON deals by email?